Modernity’s anthropocentric spatial orderings seek to disentangle us from nonhuman animals. We ride the subway without seeing its rats; we live in exterminated apartments; we consume dead animals who are slaughtered away from our sight and processed into meat. Yet there is a serious need to address, engage and live with nonhuman animals, who “together with [humans] suffer from urban pollution and habitat degradation,” and whose oppressions are intimately linked to our own, and to those we perpetuate within the world. 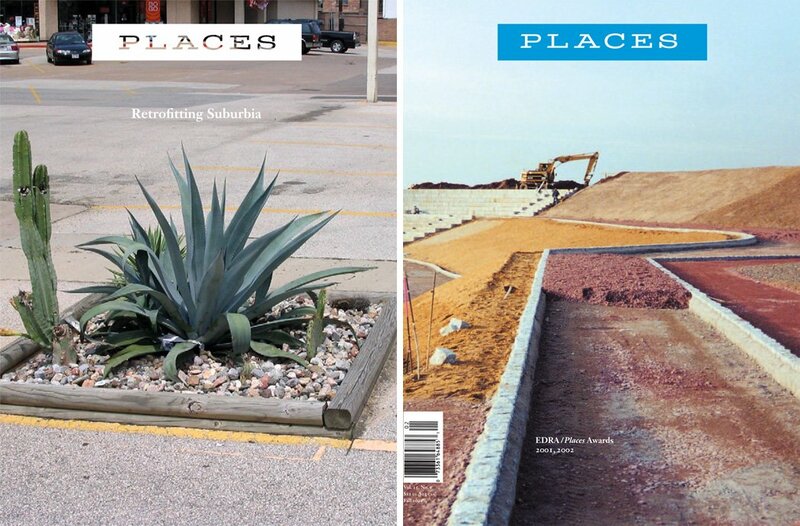 In her essay “Zoöpolis,” cultural geographer Jennifer Wolch defines the eponymous term as a city that “[invites] the animals back in” to “[allow] for the emergence of an ethic, practice, and politics of caring.” In this reading list, the zoöpolis is considered from an interdisciplinary perspective—from cultural geography to ecological urbanism, landscape architecture to literature, politics to visual art, literature to critical theory. Particular attention is paid to 1) trans-species urban practices that aspire to “[alter] the nature of interactions between people and animals in the city”; 2) the culturally constructed dichotomy between nature and culture; 3) rhetorics of fear used to describe cross-species co-habitation and eradication of so-called pests; and 4) the proliferation of factory farms, and the politics of sight projected by these spaces. * Note: This reading list is adapted from a Spring 2015 course taught as part of Pratt Institute’s Architecture Writing program. I taught a separate course on Animal Architectures that emphasized zoos in Fall 2014 and have only transposed one entry from that syllabus to this reading list. An introduction to animal geographies that situates this area of study within broader geographic discourse. In this chapter from Killing Animals, Chris Wilbert explores the Western human fascination with animal attacks and how this fascination reiterates human/nonhuman boundaries. In this chapter from About Looking, Berger traces how animals have been depicted in art and philosophy throughout history, ultimately moving toward a meditation on domesticated animals and zoos. "The Trouble with Wilderness; or, Getting Back to the Wrong Nature"
Here, Cronin traces the cultural construction of wilderness and nature across time and space—i.e., wilderness and nature are human creations. A 2005 documentary by Werner Herzog chronicling Timothy Treadwell's cohabitation with grizzly bears at Katmai National Park and Preserve in Alaska. Brief article on what Never Cry Wolf and Grizzly Man serve to teach us about humans' positions in the so-called natural world. "Bear Life: Tracing an Opening in Grizzly Man"
A chapter on Werner Herzog's Grizzly Man from Dominic Pettman's Human Error: Species-Being and Media Machines. Pettman reflects on animality, sexuality, and the question "where is the human?" Interactive documentary from 2012 about a grizzly bear in Banff National Park (Canada) who "was collared at the age of three and [...] watched her whole life via trail cameras in the park." "Jungleland: The Lower Ninth Ward in New Orleans Gives New Meaning to ‘Urban Growth'"
A brief article via the NYTimes about cross-species commingling in New Orleans post-Hurricane Katrina. areas of cities?" Includes several speculative architecture projects that reintroduce bats—so-called pests—into the urban environment: the Bat Tower, the Bat Cloud, and the Pest Wall. Speculative architecture project which "suggests that wilderness as space outside of human control no longer resides in opposition to development." Mike Davis's quintessential environmental and social history of Los Angeles, CA. 1963 horror film by Hitchcock depicting a violent bird invasion in Bodega Bay, CA. Pairs well with Chris Wilbert's chapter from Killing Animals. Stunning ethnography by political scientist Timothy Pachirat, who spent five months working undercover in a slaughterhouse in Omaha, NE. Documentary from 1949 contrasting bucolic Paris with a nearby abattoir (slaughterhouse). Can be taught in conjunction with Bernard Tschumi's Parc de la Villette redesign. Brantz traces the rise and fall of abattoirs in the West, with some emphasis placed on the ways in which these spaces have been repurposed (e.g., as museums). Speculative architecture project imagining what a space colony populated by animals might look like, inspired by sources including NASA's Space Settlements: a Design Study, Michael Pollan's The Botany of Desire, and Donna Haraway's When Species Meet. A chapter from Vibrant Matter in which Bennett sets out to "show how worms are 'like' us," finding in their nonhuman bodies "evidence of the vitality of matter." Further, Bennett sets out to "confront the hard question of the political capacity of actants." In other words, can worms and other nonhuman animals be "considered members of a public?" Pairs well with Zoopolis: A Political Theory of Animal Rights. A chapter from Architectural Theories of the Environmnet: Post-Human Territory outlining SCAPE Landscape Architecture Firm's plan to "nurture an active oyster culture that engages issues of water quality, rising tides, and community based development around Brooklyn's Red Hook and Gowanus Canal." Installation art project via which different habitats were created for various animal clients around the world. A chapter excerpted from Ingraham's full-length book Architecture, Animal, Human: Architecture and Post-Animal Life. Another stunning book—a work of political theory that "shifts the [animal rights] debate from the realm of moral theory and applied ethics to the realm of political theory, focusing on the relational obligations that arise from the varied ways that animals relate to human societies and institutions." The introductory chapter speaks directly to the responsibility of architects to engage more responsibly with cross-species design. "Animal Spaces, Beastly Places examines how animals interact and relate with people in different ways. Using a comprehensive range of examples, which include feral cats and wild wolves, to domestic animals and intensively farmed cattle, the contributors explore the complex relations in which humans and non-human animals are mixed together" (via Amazon). Short moral philosophy article outlining arguments for and against zoos. Ultimately, Jamieson argues that zoos should be abolished. Outlines Parc de la Villette, redesigned by Tschumi Architects from 1984-87 on the site of what was once a large abattoir (slaughterhouse). Pairs nicely with all of the slaughterhouse texts outlined above, and raises questions about architecture and trauma.